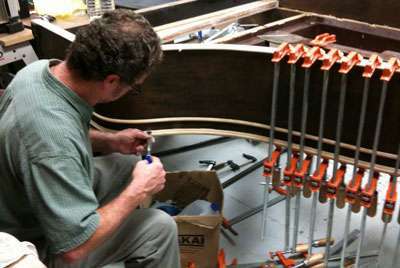 Coltharp Piano World has devoted a lifetime to piano rebuilding and restoration. Every piano has a story to tell from the date of birth to the maturing voice and life of performance. Coltharp spent 14 years as the Concert Master Piano Technician for the Memphis Symphony Orchestra. Mr. Coltharp has retired from the Symphony and now devotes full time effort to the Concert Service Circuit, tuning. rebuilding, and the restoration of world class instruments. Coltharp Piano World is a Concert Service and Warranty Service Center for most major piano manufactures. Coltharp Piano World learning centers and commercial rebuilding facilities are available for tours by appointment only. Please contact us today and let us show you how your family heirloom can be restored to a musical masterpiece. Treasured instrument or family heirloom, pianos are fragile and important to their owners. Whether you are moving your piano across the room, or across town it can involve many risks. Our crews are experienced professionals, licensed, bonded and insured. Do you have a family heirloom that you would love to restore. Coltharp Piano World can bring your family treasure back to life. Restore your piano with confidence and enjoy it for another lifetime and more. Our resources run deep at Coltharp Piano. Russell Coltharp was a concert service tech for the Memhis Symphony for 14 years. 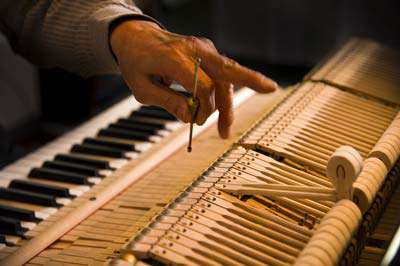 Our piano tuning service will adjust the tension of each string or wires to the desired musical pitch. With over 220 possible note combinations we work to ensure they are pitch perfect.